Here’s a hack that’ll surprise you. 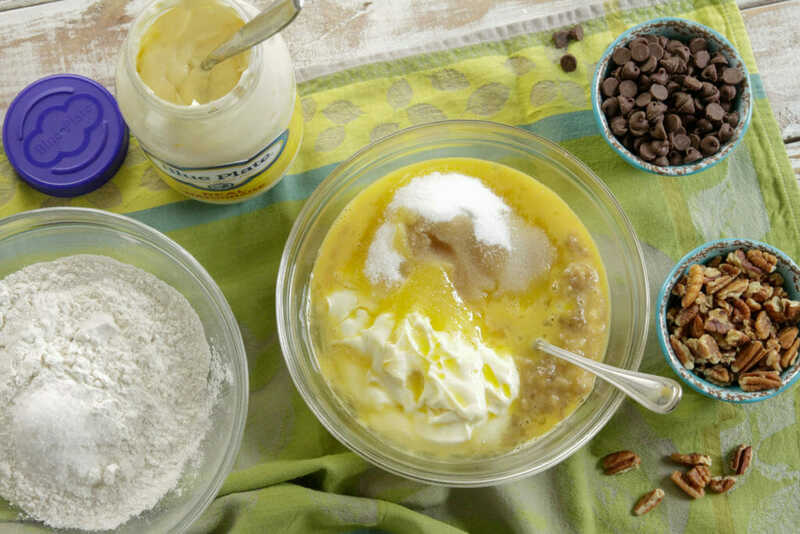 It’s a secret ingredient you’d never think to use to make banana bread oh so moist and delicious. no mayo taste at all in the final product! 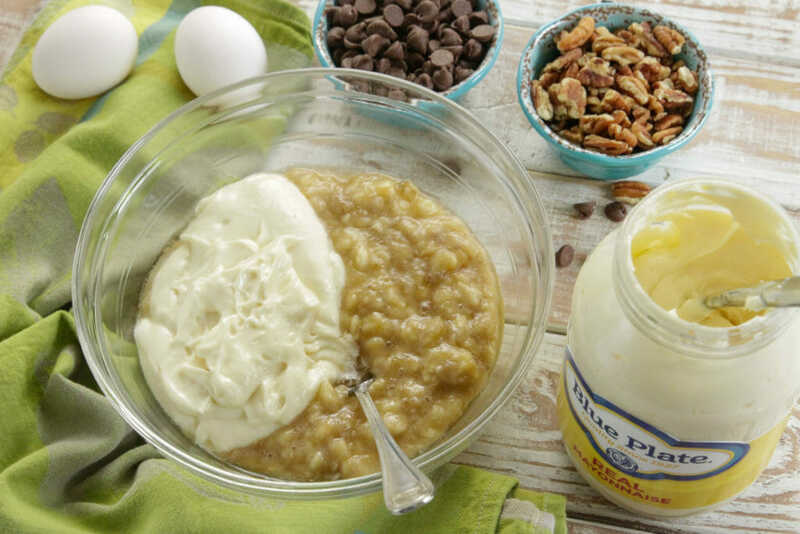 It’s as simple as mashing the bananas and adding enough Blue Plate® Mayonnaise to equal 2 ½ cups. Then beat in an egg, sugar, and vanilla extract. Fold the dry ingredients into the banana mixture, and add pecans. Oh, and don’t forget the chocolate chips, even though they’re optional. 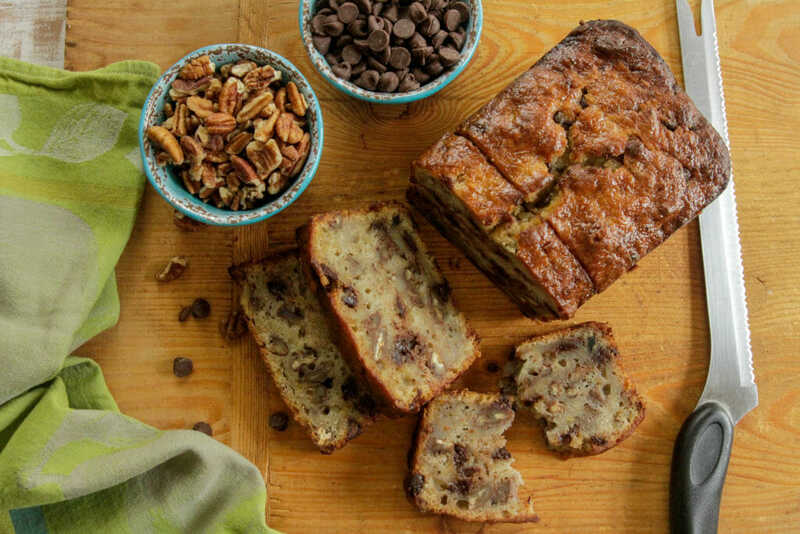 A yummy after-school snack and a great way to keep your coffee company, our banana bread recipe stays fresh for up to 5 days, and freezes well, too. But it’s so good, it probably won’t last that long! 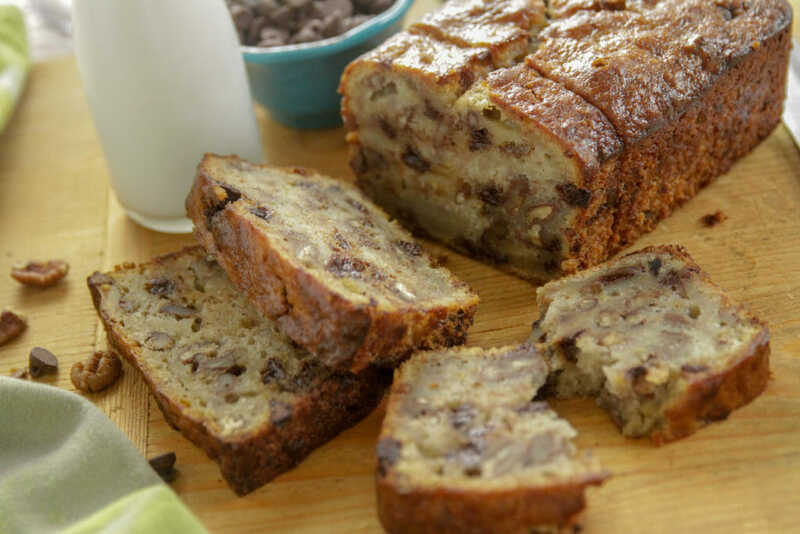 * Tip: Always keep ripe bananas on hand so you’re ready to make banana bread anytime: peel ripe or over-ripe bananas, and freeze in a zip-top plastic bag. Then thaw before using. PREHEAT oven to 350 degrees. Coat a 9-inch by 5-inch baking pan with nonstick spray. MASH bananas with a fork in a large measuring cup. Medium bananas should measure about 1 1/2 cups. If this is the case, add the entire 1 cup mayonnaise. If the bananas are larger, add slightly less mayonnaise, probably about ¾ cup, to equal 2 1/2 cups total bananas and mayonnaise. BEAT in a large bowl the egg, sugar, banana-mayonnaise mixture and vanilla, until mixed well. In a medium bowl, mix flour, baking powder and salt. Fold into banana mixture with pecans (and chocolate chips, if using) just until no streaks of flour can be seen. Turn into the prepared baking pan. BAKE 1 hour, until a toothpick comes out clean when inserted into the center. Cool on a rack 15 minutes, then remove from pan. Cool completely, then wrap in foil. Keeps well up to 5 days. Freezes well.